If you are providing Muslim Friendly and halal products or services particularly for the Japanese market please fill out the form below to register your name. IT IS FREE. 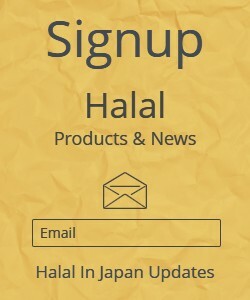 This is where you can suggest your business for the listing in Halal In Japan or update your existing business details. ​The goals of halalinjapan.com are: To promote your business by connecting you with the resources that will help your business to grow, while at the same time, enabling individual fans and the Muslims who reside or travel throughout Japan to have easy access to finding your business when they are in your neighborhood or to become your permanent customer wherever they are.